The ice cream is made onsite and uses pure sugar, natural colorings and regionally sourced ingredients. Aside from several dairy-free options, the ice creams ring in at 16 percent butterfat (12 percent is the average in commercial brands). In addition, the large selection stays exclusively within the sweet category. “We’re staying away from all the crazy stuff and letting Salt & Straw have that part of the market,” said Schulenburg, referring to certain savory flavors found at the Little Italy ice cream parlor. 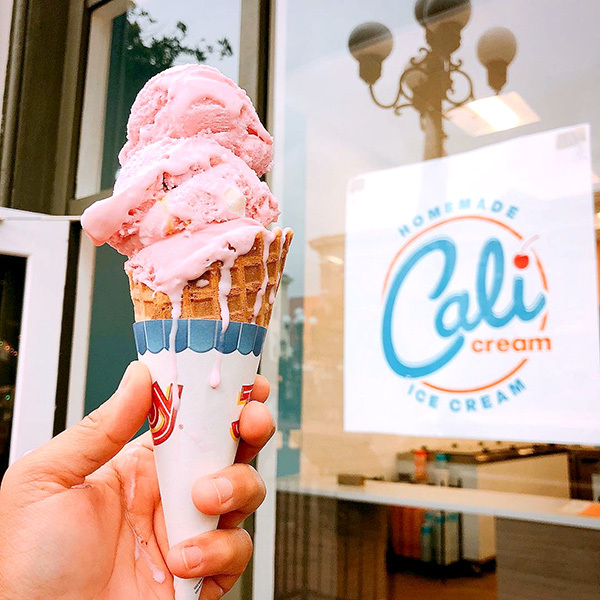 Cali Cream’s dreamy concoctions include Red Dawn (black raspberry and chocolate truffles); Death by Chocolate (dark chocolate with fudge ripples and brownies); and peanut butter with salted fudge. 425 Market St., 619-450-4078. The latest count for the number of mussel bisque orders served at Dobson’s Bar & Restaurant since it opened in 1984 is 1.1 million, says head chef Martin San Roman. 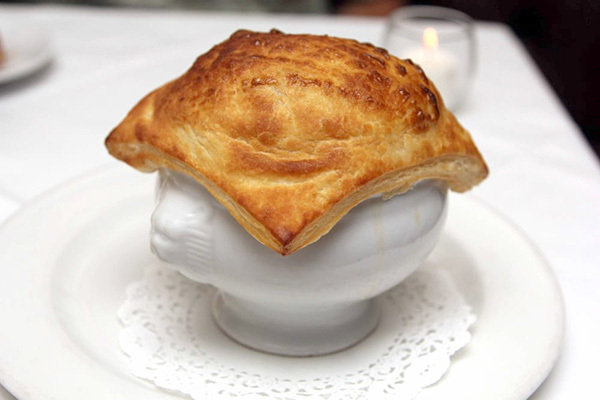 The famed pastry-crowned bisque, which receives a generous pour of sherry when it’s served, has sated the likes of former President Bill Clinton, world-renowned cellist Yo-Yo Ma, famous bullfighters from Mexico and other luminaries. Of late, San Romano says he sells up to 700 orders per week. As for the origin of the recipe, the restaurant’s founder, Paul Dobson, obtained it decades ago from a bistro in Normandy, France. 956 Broadway Circle, 619-231-6771, dobsonsrestaurant.com. The subterranean speakeasy known as Prohibition is holding a series of dinners this month that pair cocktails — not wine or beer — to each course. On June 4, the drinks will be made with Brugal 1888 rums. The dinner on June 18 will spotlight cocktails using El Silencio mezcals, and on June 25 patrons will sip through Diageo Reserve spirits during their meal. Each dinner is preceded by a cocktail hour, starting at 6 p.m. The cost is $85 per person, plus gratuity. Reservations are required, and full menus are posted on the website under “supper club.” 548 Fifth Ave., 619-501-1919, prohibitionsd.com. Downtown’s celebrated seafood restaurant, Top of the Market, has hired Jeremy Loomis from Herb & Wood as its new executive chef. Loomis replaces Stafford Mather, who will be starting a new job in New York City. Before moving to San Diego in 2013, Loomis worked for a hospitality group in Michigan. In San Diego, he worked at Searsucker prior to Herb & Wood. At Top of the Market, he will oversee menu development and work with the restaurant’s team in introducing new seasonal dishes to the fine-dining experience. 750 N. Harbor Drive, 619-232-3474, sdtopofthemarket.com. 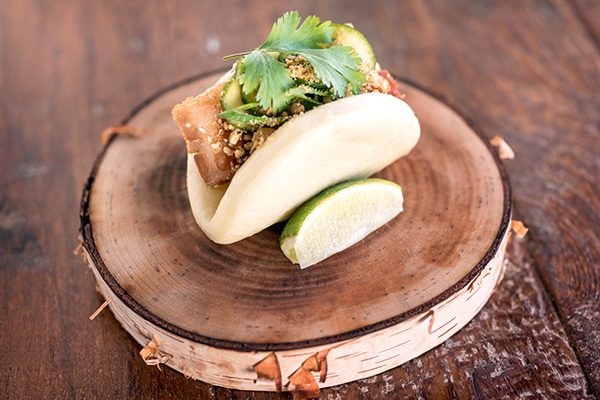 Gin and bao buns will rule the evening on June 14 when chef Brian Redzikowski of Little Italy’s Kettner Exchange brings his famed bao buns to You & Yours Distilling Co. in the East Village. The buns, served with various fillings, will be available for $4 each from 6 to 10 p.m. as staffers of the distillery construct cocktails from the company’s gin collection. 1495 G St., 619-955-8755, youandyours.com. The highly anticipated Monzu Fresh Pasta has swung open its doors leading into a retail section and a fast-casual dining area. 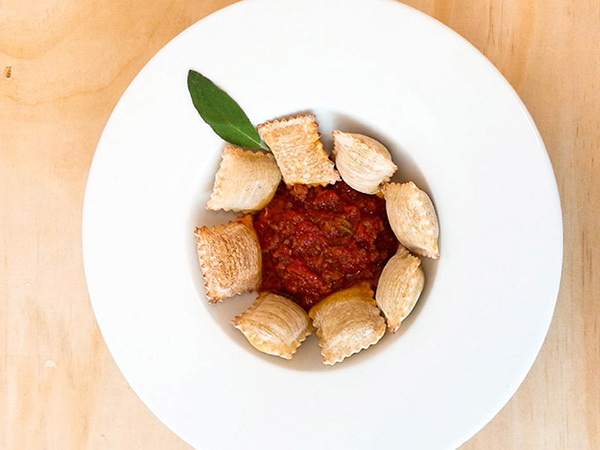 House-made pastas rule the day in this family-run business, which was launched by European husband-wife team Aldo de Dominicis Rotondi and Serena Romano. As advocates of the Slow Food movement, both have trained with Italy’s master pasta makers and learned centuries-old techniques born in regions such as Campania, Puglia and Sicily. Retail offerings feature fresh, uncooked pastas as well as imported deli goods such as olive oil and panettone. Dine-in and takeout options include diverse pasta dishes, pasta flights and salads. There are also daily specials as well as meals tailored for vegans. 455 10th Ave., 619-802-4355, monzufreshpasta.com. 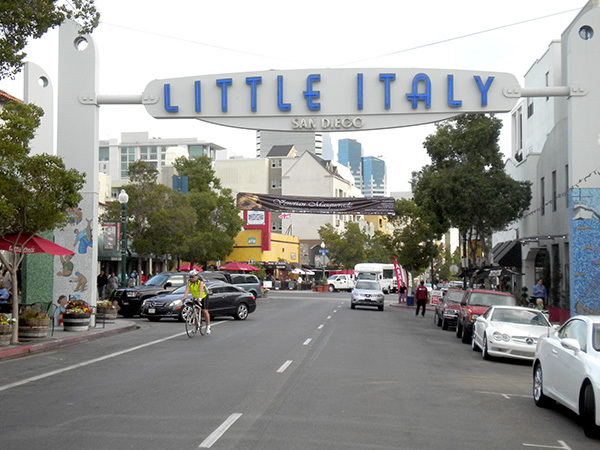 The 10th annual Taste of Little Italy will feature nearly 40 restaurants doling out samples of their latest and greatest cuisine, from 5 to 9 p.m., June 13. Two routes will be available—at the north and south ends of the neighborhood—with each incorporating about 20 establishments. Participants include Civico 1845, Barbusa, Born & Raised, Nolita, Herb & Wood, and more. The cost per route is $40 in advance and $45 the day of the event. For tickets and more information, visit tasteoflittleitaly.com. — Frank Sabatini Jr can be reached at fsabatini@san.rr.com. Tags: BarbusaBorn & Raisedcali creamDowntown NewsEast VillageHerb & Woodivico 1845Kettner ExchangeMonzu Fresh PastaNolitaProhibitionSan DiegoSan Diego Downtown NewsSearsuckerTaste of Little ItalyTop of the MarketYou & Yours Distilling Co.